They say that “nothing is more permanent than the temporary” and that proven to be the case in the 7DAYS Eurocup. The season starts next week and it will feature 20 teams. Those are Cedevita Zagreb, Herbalife Gran Canaria Las Palmas, Lietkabelis Panevezys, MZT Skopje Aerodrom and Nizhny Novgorod in Group A, ALBA Berlin, Montakit Fuenlabrada, Dominion Bilbao Basket, Khimki Moscow Region, Lietuvos Rytas Vilnius in Group B, FC Bayern Munich, Buducnost VOLI Podgorica, UCAM Murcia, Unicaja Malaga, Zenit St Petersburg in Group C and Hapoel Bank Yahav Jerusalem, Lokomotiv Kuban Krasnodar, Ratiopharm Ulm, Union Olimpija Ljubljana and Valencia Basket in Group D.
Until recently Euroleague tried to add four teams in the competition in order to cover the four open spots left by Partizan, AEK, Zielona Gora and Volgograd. 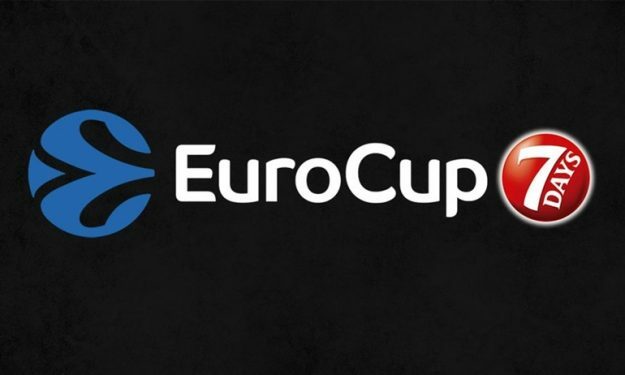 Among other clubs Tofas and Trabzonspor from Turkey were invited, but despite the talks either because of the pressure applied from local basketball authorites to the clubs, or because the clubs willing to participate were not at right level of quality, Eurocup will include 20 clubs for this season.